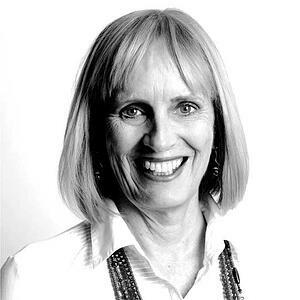 Carolyn Taylor is one of the world’s foremost experts in organisational culture change and the Executive Chair of Walking the talk. During her 30 years in the field, Carolyn has run workshops with 50,000 leaders, worked alongside 200 culture change journeys, consulted on 15 mergers & acquisitions, coached 60 CEOs and worked in 35 countries. She can certainly advise on what works and what doesn’t in terms of changing culture. , with many organisations putting in bulk orders for their leaders and teams. In 2005, Carolyn joined a global consulting firm as an Academic Board member, where she introduced a culture practice, and worked with executives in some of the world’s leading companies to build the cultures they required and ensure that they themselves were walking their talk. She was Global Sales and Marketing Partner during a period of 300% growth and led several of the largest culture change projects in which the company was involved. Her clients included Henri de Castries, CEO of AXA, Roberto Setubal, President of Itau Unibanco bank in Brazil, Sheryl Sandberg, the executive responsible for the monetisation of Google and COO of Facebook; Mark Begor, EGM GE Money. In 2009, driven by a vision to promote her culture management methodologies to a much larger group of internal and external culture advocates, she co-founded a new company, Walking the Talk, to build an integrated culture management system – diagnostic, planning and training tools – to enable companies to capitalise on their culture and to build internal capability. With hubs in Europe, Australia and Latin America, Walking the Talk’s mission is to make culture do-able, so that more and more organisations can do extraordinary things because of the behaviours and mindsets of their people.